Born into a businessman's home in Calcutta, India, Amitabh Singh became increasingly interested in the art of management. When introduced to Jesus at a young age, Amitabh found that the teachings of Christ fused his love for business and people. We invite you to join Jesus, the world's ultimate management guru, as he teaches not only how to best lead in the workplace, but also how to prevail in the vast marketplace of life. 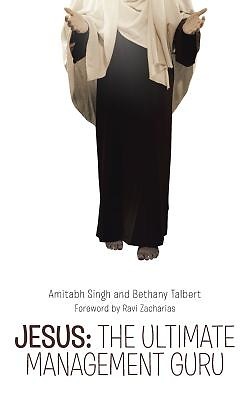 "Placing the life and teachings of Jesus in the various roles of the business realm, Amitabh Singh sheds substantial light on how a believer should live in such roles. I highly recommend Jesus: The Ultimate Management Guru to everyone in business . . . or any other kind of leadership."